This past weekend New Jersey Collectors Con held their spring show and both Boss Fight Studio and Marauder Gun Runners were in attendance with new items! 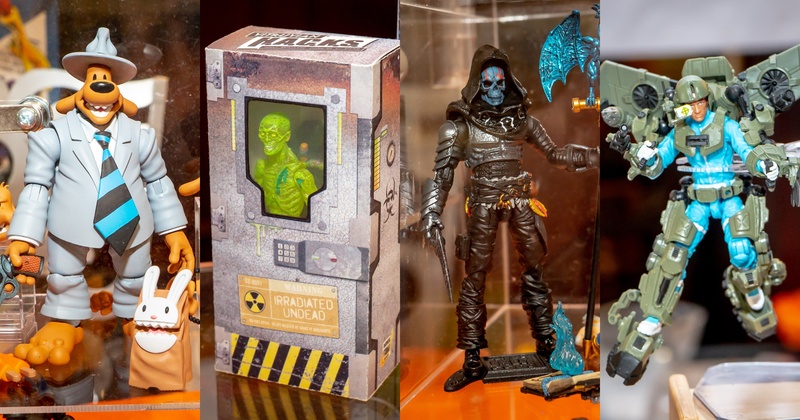 Boss Fight had new figures from Bucky O’Hare, the new Sam and Max line, the next Vitruvian H.A.C.K.S. Fantasy Wave, H.A.C.K.S. blanks and accessory kits, plus our first look at the retooled Boss Fight Zombies. Marauder had show exclusives plus a lot of recently released items out including multiple variants of the 3.75 inch articulated dogs, Exo Suits, Contractor Ops, WWII prototypes and 1/12 scale replica weapons. We’ve run shots of both their booths, &#187; Continue Reading. The post NJCC April 2019 Show – Boss Fight Studio and Marauder Booth Pics appeared first on The Toyark - News.